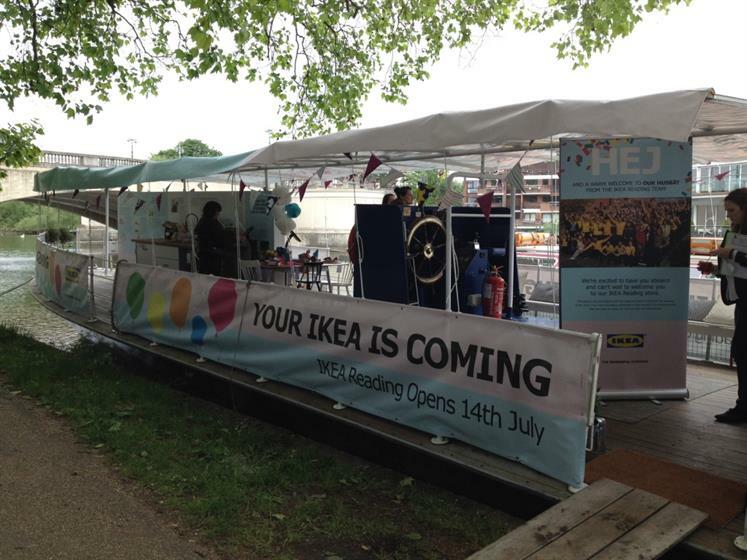 Ikea unveiled its Swedish houseboat activation on the Thames in Reading this morning (2 June), which marks the run up to its new store opening in the town. 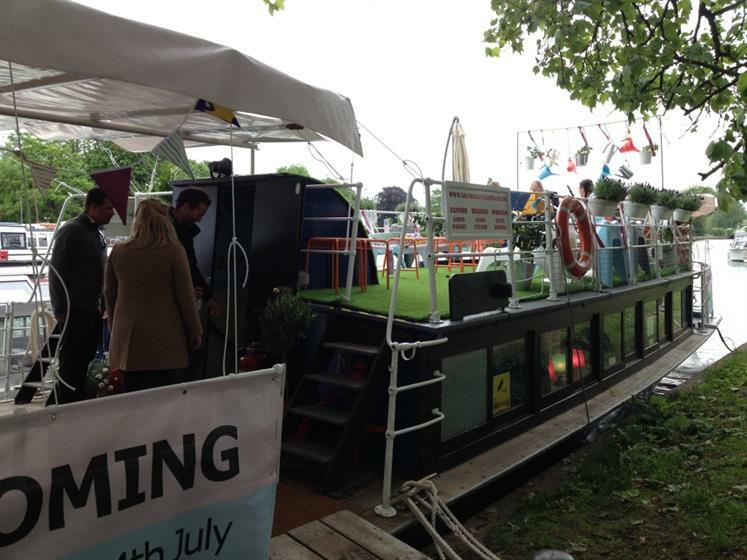 The three-deck boat will open to the public from 6-30 June, and will offer trips along the river, with the branded creation travelling between Oxford and Reading over the course of the month. Swedish food and drink, which will be available in the store, will be served to guests, while there will also be craft workshops such as flower garland making. The Scandinavian retail brand will also be inviting local schools (8-11 year-olds) to come and visit the boat, and will host special workshops on leading a more sustainable life. 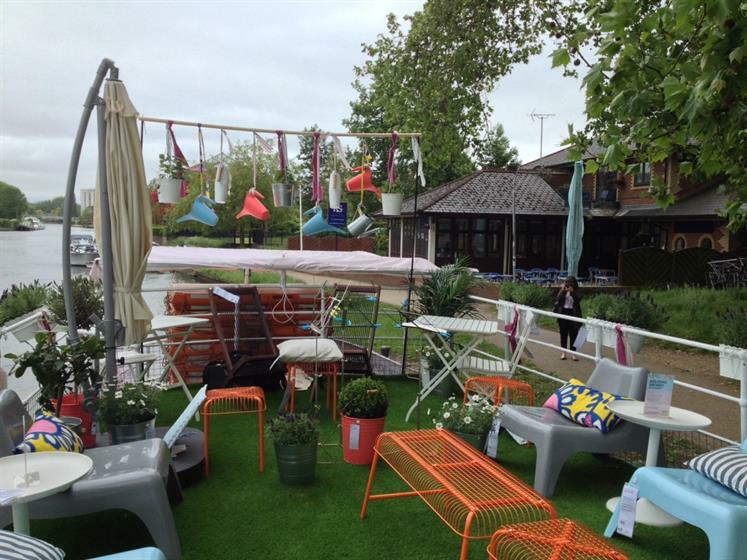 The top deck of the boat features a sundeck area, complete with seating and faux grass, the middle deck is home to an ‘exhibition style’ space, showcasing Ikea products which are focused on improving sustainability and environment practices at home. The lower deck meanwhile features a ‘secret snug’ for a more cosy indoor experience. The idea behind the houseboat was the parallels which Ikea drew between the Thames Valley region and Sweden - predominantly that of living by the water. The retailer also did research into households in the area, which showed that cooking from scratch was popular alongside recycling, for example, which is why the space is focused on these areas. Ikea will also be offering guests the chance to win some of the kit on deck through an Instragram competition, where people ‘snap’ their favourite product on display. Earlier this year Ikea celebrated 'the joy of storage' with an immersive exhibition.